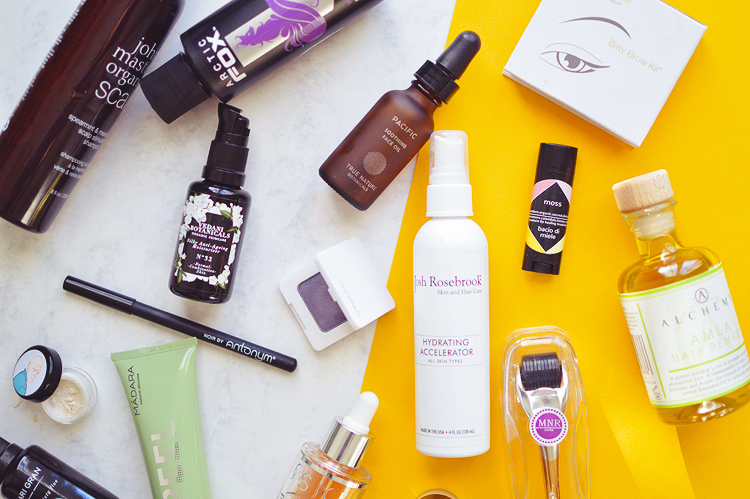 Best In Class: My Top 16 Beauty Bits from 2016! It's finally time! I've been wondering if it's a little late to post this, but wanted to keep up the tradition - this is the fourth year after all! I've been back through all of my posts from 2016, raided my stash and dug out a couple of empty bottles that I was saving for an empties post and here we have my top 16 products from 2016. I've even managed to surprise myself with some choices here, and even more so with products I decided didn't make the cut! 1. John Masters Spearmint & Meadowsweet Scalp Stimulating Shampoo. I spent most of the year using up a huge bottle of a shampoo that I didn't really enjoy, so this was a welcome change in the latter half of the year. I've used up the whole bottle and am currently using the Acure that I picked up in San Fran. Which is great for making my hair shiny, but my scalp is feeling a bit iffy. Might need to repurchase this! 2. Alchemy Oils Amla Hair Remedy. Hair masks and treatments were big for me in 2016 after a big bleach session in the summer. 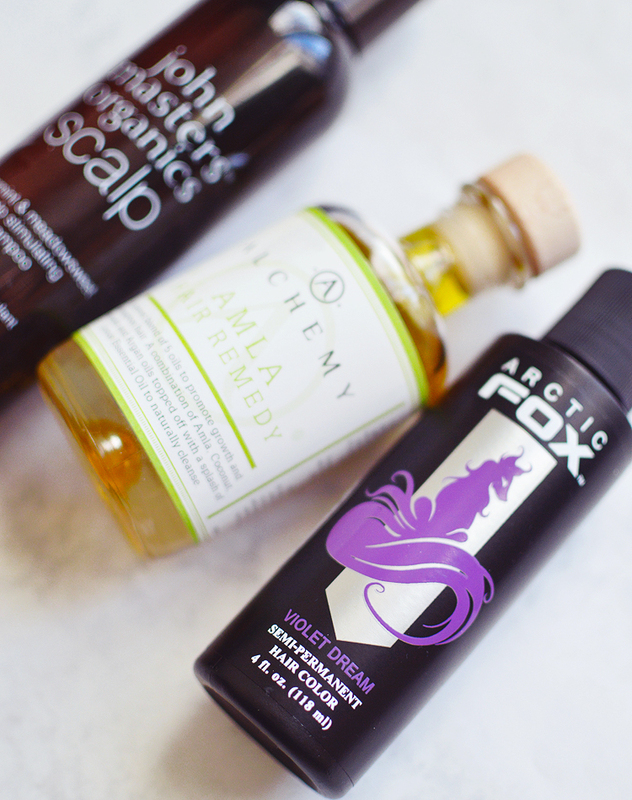 The Amla oil seemed to work the best for me and even though it was a pain to wash out (I probably do use way too much and practically drench my hair in the stuff) it leaves my locks feeling silky and soft after each use. 3. Arctic Fox Violet Dream Semi-Permanent Hair Colour. I stumbled across this vegan and cruelty free brand on Amazon and it's perhaps the best wacky hair colour brand I've tried, and I've tried quite a few over the years. It's bright, the colour lasts ages and it doesn't leech out of your hair in the rain, in the bath or on towels or bedding. Plus it smells of bubblegum and acts like a super intensive hair mask whenever I use it. 4. Kari Gran Three Sixty Five. I was so nervous to use this when I first got it, but all my fears were swept away after the first use. I mix it with another moisturiser or something tinted as it is very white and thick - it may leave a white cast if you have darker skin! It leaves a wonderful skin-perfected base for makeup and the zinc is actually healing for blemish prone skins like mine. Sad I won't repurchase now as it's not vegan! 5. Vedani Botanicals Silky Anti-Ageing Moisturiser No32. I could have featured every product, the cleanser is a dream too, but this oil really helped transform my skin in the early part of the year. It was everything I wanted; nourishing but not too rich on oily skin, blemish healing, calming, brightening and balancing. I used the whole thing up and would do so again. 6. 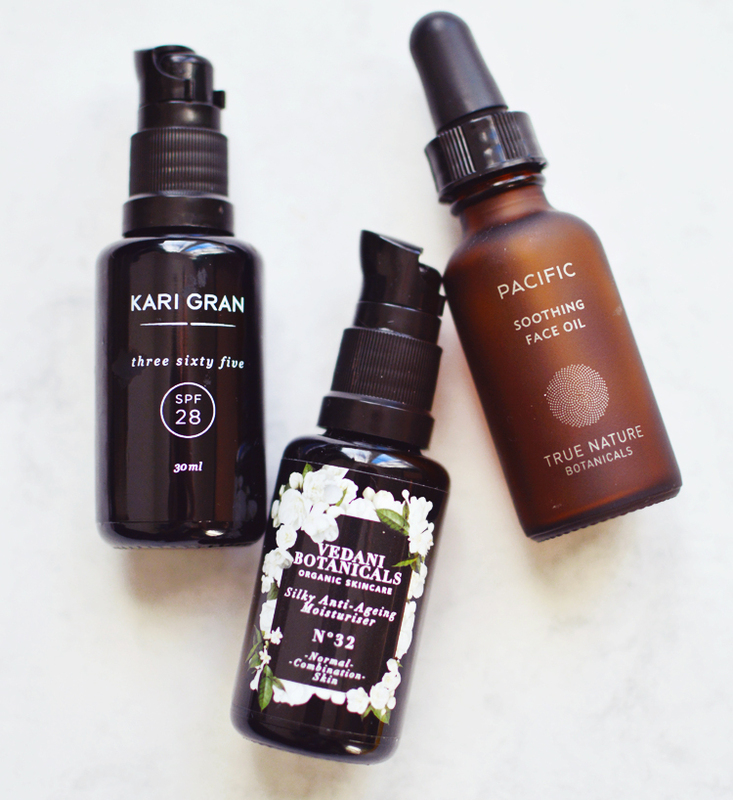 True Botanicals Soothing Face Oil [Now renamed to Pure Radiance Oil, Calm]. 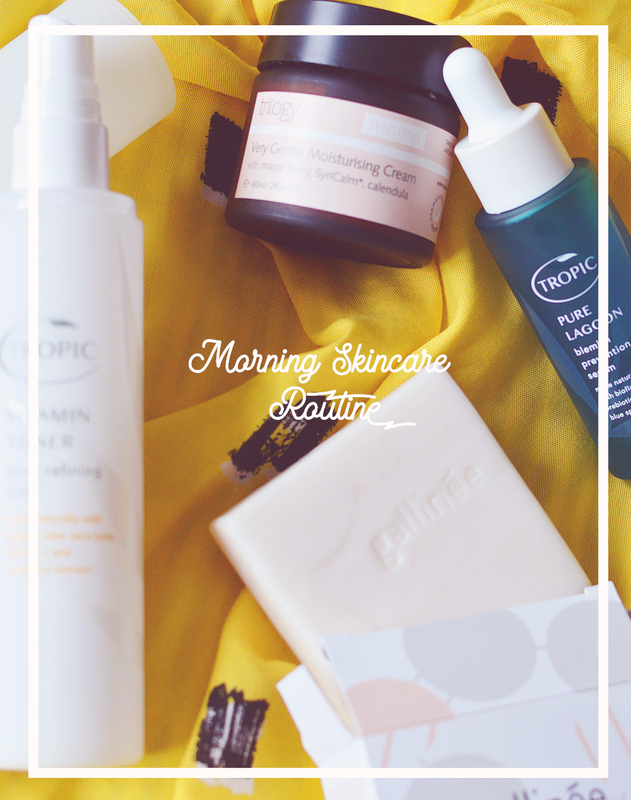 Since around September my skincare regime has been unusually consistent. The same cleanser, oil and serum, and the same weekly mask ritual. My skin hasn't looked this good for ages. This oil is magic. It's silky and quite rich, but not thick or pore clogging. It hydrates my skin perfectly and banishes dryness and leaves a totally calm and clear complexion. I use just a drop or two every morning mixed with spf or tinted moisturiser, and then literally slather my skin in it come the evening. It contains very few essential oils so is perfect for sensitive skin, too. I think the formula has been changed ever so slightly with the rename of the product, so I would be interested to see if it is any different, I sure hope not. 8. Madara Active AHA Brightening Peel Mask. Another one I use mainly for resurfacing the skin and working on scar healing. This mask is fantastic. I tried a small sample tube and immediately bought the full size a couple of months ago. 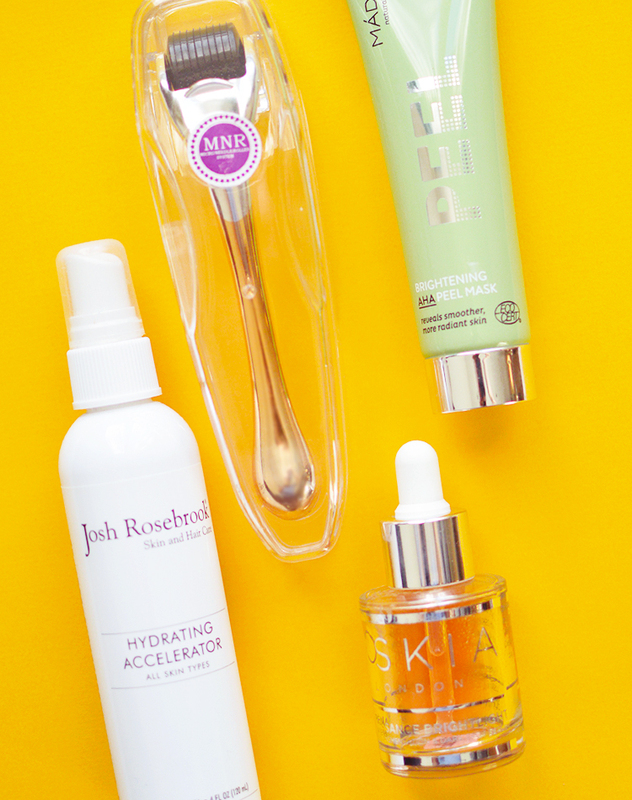 Bye flaky skin, hello a fresh complexion. 9. Josh Rosebrook Hydrating Accelerator. Everyone raves about this, and with good reason. It smells divine, has perfect ingredients, hydrates, preps and refreshes. It feels like a cool summer breeze on a sweltering day. Used up a full-size bottle and will repurchase soon! 10. Oskia Renaissance Brightlight Serum. My love. As mentioned above, several times oops, getting rid of scars was my goal this past year, and thanks to several products and tools I have 80% succeeded! It's a marathon, not a sprint, people. I've used this serum every night, and some mornings since opening it. I especially love using it after derma rolling to get those actives right into the skin. I just know this is the reason the marks faded so well so it just had to be included in the list! 11. Jane Iredale Bitty Brow Kit. The only eyebrow product I own and use. The powder is the perfect shade, I've even hit pan! The wax side contains beeswax though so every so slightly distraught for when it runs out!?!!!!! 12. moss Bacio Di Miele Lip Balm. I wrote a whole post on this little gem earlier in the year! It was fab for winter chapped lips and smelt so delicious. Moss is going through some kind of rebrand and I think this may be discontinued now? I couldn't repurchase, as with a running theme we have going on here it's not vegan! gah! 13. Alima Pure Concealer. This was in my faves last year! It's that good. This is my third or fourth pot now. I'm determined to try something new when it runs out, but I just know it works for me. I'll probably cave and buy again ;) Can you imagine if it wasn't vegan, I'd have a breakdown. 14. RMS Swift Shadow EM-68. I don't recall wearing eyeshadow as much all year as I have in the few months since getting this. 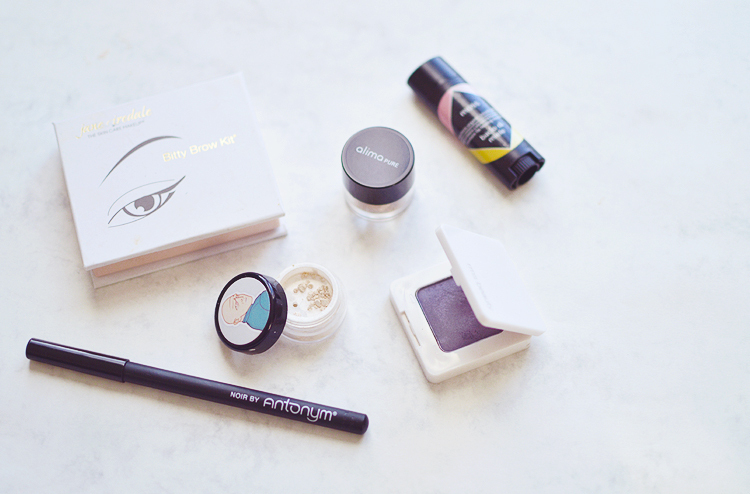 A one wash wonder, a smoky eye, even eyeliner, it does it all. 15. Brija Cosmetics You Know Who... Highlighter. I spent half of the year on the hunt for the perfect powder highlighter when every brand was releasing cream ones! Luckily Katie came to my rescue and I bought the mini size (will last a lifetime I'm sure) You Know Who... It's two of my favourite things, Harry Potter + Glitter. 16. Antonym Cosmetics Eye Pencil. Sure, I only got this in November, but I know a good eyeliner when I use one, and this is DAMN GOOD. That's all.